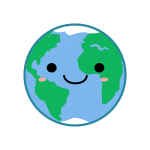 Whilst Earth Day may be just one date in your calendar, it’s environmental message mobilises hundreds of millions of people across the globe to bring about about a collective fight to regain control over our planet’s deteriorating ecosystem. Discover some crucial organisations where you can volunteer to join the war against the further destruction of our one planet. The International Women’s Day 2019 campaign isn’t just for one day. #BalanceforBetter runs all year long. Gender balance is essential for economies and communities to thrive, so we’ve picked some amazing organisations that you can volunteer with to support women and girls. 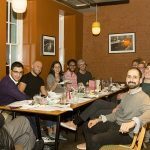 Hear from Dot Dot Dot guardian and team member, Desire, about her volunteering with Futurist Women. She’s been involved with the launch of the social enterprise, aiming to tackle unemployment amongst young women in and around Africa. Dot Dot Dot guardians in Abbey Wood totted up a total of 442 hours for Crossness Engines Trust in 2018. 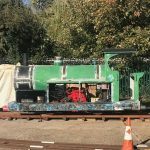 The charity was set up in 1987 to restore engines that represent a unique part of Britain’s industrial heritage and Victorian engineering. A large part of the restoration work so far has been carried out entirely by the volunteer workforce. James has been a Dot Dot Dot guardian for just over a year, and so far has dedicated over 260 hours – the equivalent of a full month of work – to help create positive change in communities in London. 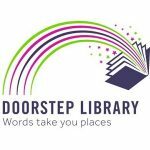 Find out more about his volunteering with Doorstep Library. 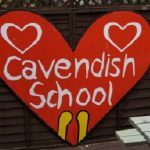 Angela became a Dot Dot Dot guardian in summer 2018, and has since totted up a total of 438 hours volunteering at Cavendish School in south east London. We asked Angela about her highlights and proudest moments of her volunteering experience so far. Since becoming a Dot Dot Dot guardian in spring 2018, James has volunteered for over 70 hours for good causes. Find out more about the work he has been doing with Chatter Chamber and how being a Dot Dot Dot guardian has helped his volunteering. 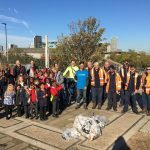 Dot Dot Dot staff and guardians joined forces with Thames Water, Newham Council and local school children to clean up the Greenway – Newham’s green walking and cycling highway. 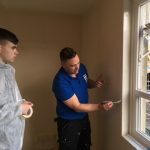 Earlier this year we partnered with Volunteer It Yourself (VIY) to increase the employability of young people in Barnet. Channel 4 presenter Guy Martin has taken up the mission of encouraging more young people to learn vocational trade and building skills as part of his new show – Guy Martin’s Big Build. He recently went out to meet and work alongside young people at VIY projects across the country, and has produced two 10-minute films about his experiences. 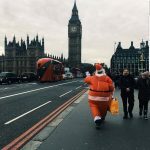 Our High Barnet guardian, Carl, leads a double life as Santa! And he needs your help!